To the Romans this location was known as "Promontorium Sacrum - the end of the world where the waters of the ocean boil at sunset". Today, this small town is close to the most south western point of Europe known as Cape St. Vincent. The legend of the martyr Saint Vincent is that his relics were mysteriously transported by ravens from the Holy Land to the Cape and subsequently guarded by them. In 1173 the ravens reputedly then moved the relics to Lisbon where they remain to this day. However, it much more likely that they were moved to Lisbon upon the orders of Dom Afonso Henriques. Several naval engagements took place off the Cape; Admiral Tourville defeated Sir George Rooke in 1693; Admiral Rodney defeated the Spanish in 1780; Admiral Jervis with Nelson defeated the Spanish fleet in 1797. As Sagres is located on the south side of the Cape its natural protection from the western winds and rough seas lent itself to the building by Prince Henry the Navigator (Dom Afonso Henrique), of a fort in which to house his school devoted to navigation and exploration but he lived mainly in nearby Lagos. He is also reputed to have created a shipbuilding yard in the small natural harbour. 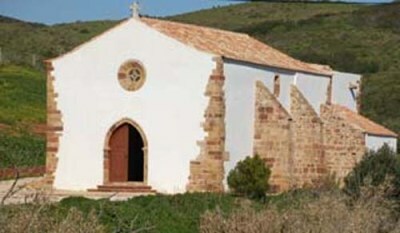 There is very little left from an historical point of view as the only items left from the original buildings is the small chapel of Nossa Senhora da Graça and reputably the giant pebble wind compass, Rosa dos Ventos. The present walls surrounding the area are the remains of a 17th Century fort. At the nearby Cape St Vincent is an impressive lighthouse that can normally be visited. This lighthouse has provided the guiding beam that safely directs the hundreds of ships that pass the Cape every year from the inevitable destruction that would otherwise occur. The surrounding cliffs present a very dramatic sight with their impressive towering sheer height and at most times being beaten by the strength of the vast Atlantic Ocean. The local restaurants are renowned for their fish and its variety and freshness and it is common to see the local fishermen wedged in dramatic perches on the cliff face with the thundering sea many scores of feet below. Unfortunately, every year the lives of some of these enthusiastic fishermen are taken, usually by falling. It is interesting to note that the area of Sagres enjoys its own mini-climate. There is very little vegetation, the ground being mainly rock with barely any soil, but in the area to the north of the town 25 different varieties of wild orchids have been found. The nearest town is Vila do Bispo that acts as the administrative centre for the area and also houses a few good fish restaurants. 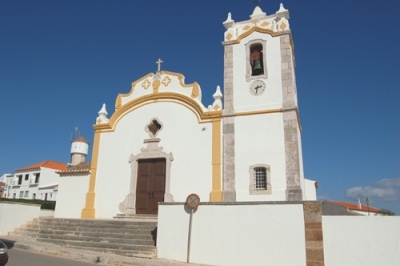 In the 8th Century about one kilometre to the southwest of this town was the seat of a religious Order known as the Igreja de Corvo. Founded by Christians from Valencia seeking refuge from the persecution of the Spanish ruler Abderramão I, all visual traces have been removed in the course of time. However, in the immediate vicinity are over 250 “megaliths” and other signs of ancient civilization dating back thousands of years. The beaches immediately to the north of the Cape are more exposed to the winds and rollers of the Atlantic with quite dangerous offshore currents. Further to the north of Vila da Bispo is the open sandy beach of Bordeira. About two-thirds of the journey north to this beach is a turning left to the small village of Pedralva. 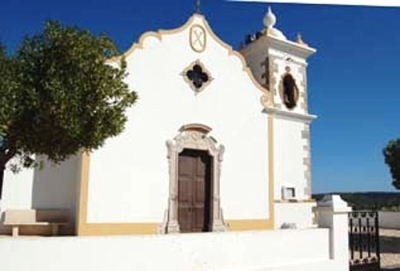 The village was virtually uninhabited and shows to the traveller a picture of what the Algarve looked like prior to the invasion of tourism and how life was once very demanding. At present there is a plan to reconstruct the many ruins and turn into a type of tourist cultural attraction.